“Most losses are recoverable except for time. Once lost, it remains lost forever.” These were words of Mohamed Horani, CEO of paytech company HPS, at the opening of the recent PowerCARD conference, urging bankers to hurry up with their digitalisation efforts. Time to market is now measured in days and even hours, he emphasised, not months or years as it used to be. Long-term visions are now built in agile, small increments. Our team hopes that this latest issue of the magazine will inspire you to contribute towards hastening the digital future, to innovate and to make your mark on the industry. And, as our resident thought provocateur Leda Glyptis advises, if your organisation is already blessed with an innovation team that “has the guts and brain fire power to explore different intellectual possibilities, the focus and determination to test options and present you with viable proposals for things never done before”, go over right now and give them a hug. But if there is no such team – “go out and hire people who can take you boldly forth into the unknown; hire them for their intellectual prowess and old-world credibility; hire them for their creativity and insane work ethic; hire them for their fierce grace”. Open banking and payments – exciting times ahead! At the centre of banking transformation. 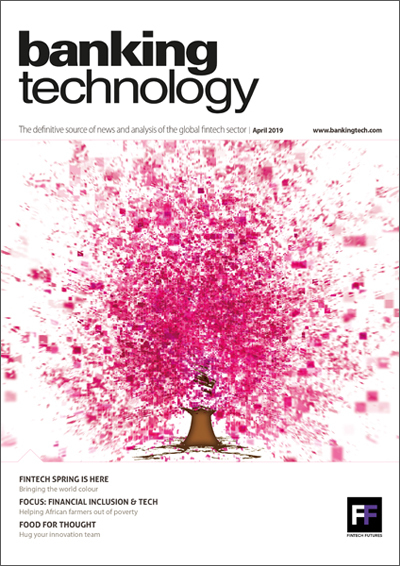 What can banks learn from fintechs? FinComEco – helping African farmers out of poverty and building better finance models. Open banking – progressing to the summit. To go boldly forth or why you should hug your innovation team. Lessons from the dating apps. The forgotten faces of diversity – the invisibles. Working together to tackle fraud. The latest investment action from around the globe. Start-ups and angel investors – a match made in heaven. Join Capgemini and FinTech Futures on Wednesday, 11 July for a live webinar! The study of more than 2,000 UK banking customers.